The cheeky campaign was developed by creative agency Fig. Waxing your back? On an awkward first date? Trapped in a whale’s belly? Vimeo is here to help - just not with any of that. 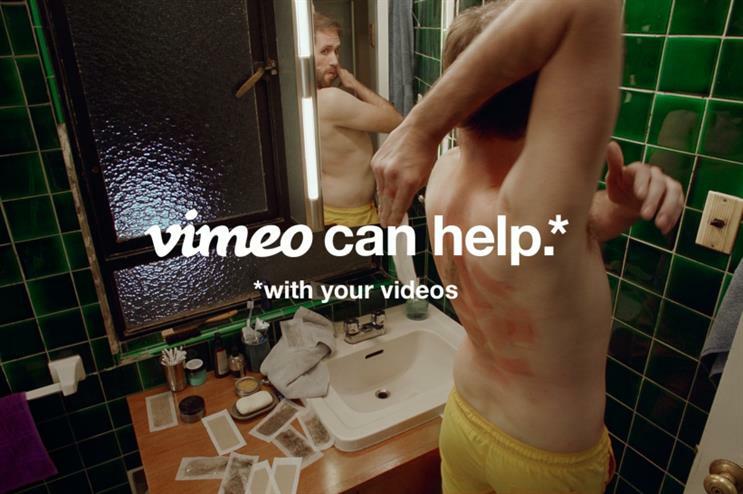 In its first major brand campaign, Vimeo is letting creators know that the platform is here to solve their problems, but only when it comes to their videos. The campaign, which features 14 fun videos directed by Emmy Award-winning Vimeo creator Alex Prager, showcases people who need assistance in rather ridiculous situation, such as waxing their back or being sneezed on during a subway ride. At the end of each video, copy on the screen says, "Vimeo can help,*" followed by smaller font below that reads, "*with your videos." Vimeo worked with creative agency partner Fig on the campaign. "We were excited about the potential of working with Vimeo from the first moment they got in touch. They have such a passionate following of creators and as their business expands we knew we could help them expand while being true to their core," said Scott Vitrone, chief creative officer of Fig. In addition to the videos, the campaign includes digital, social, audio and OOH assets, which highlight specific Vimeo tools and features, such as HD live streaming and being ad free. One of the OOH ads says, "If you think about it, this ad is sorta ironic. Ad free player. A Vimeo feature." 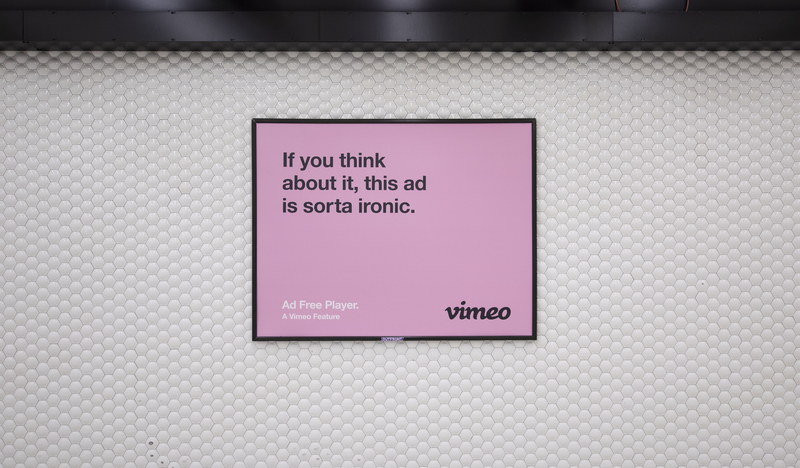 The campaign is part of Vimeo’s move last year in which it evolved from a content company to a software platform, with a focus on empowering creators.